I like to see what people are saying about Unglue.it, so I follow the "unglue" tweetstream. For many months, the false positives were really quite entertaining. In the words of normal human twitterers, the word "unglue" unearths all sorts of things people are stuck to and want to be unstuck. 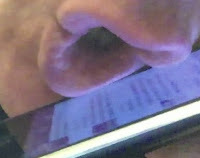 Lips, asses, couches, various electronic devices, and of course, Twitter itself. And combinations of two or more of these sticky things. Fun times! @SkyRunTelluride Can’t unglue the kids from the tv on vacations? Go camping in Telluride and leave technology behind. @VisitGatlinburg Can’t unglue the kids from the tv on vacations? Go camping in Gatlinburg and leave technology behind. @CrestedButteMt Can’t unglue the kids from the tv on vacations? Go camping in Crested Butte and leave technology behind. @TimberlineVaca Can’t unglue the kids from the tv on vacations? Go camping in Breckenridge and leave technology behind. @lodgingdeals Can’t unglue the kids from the tv on vacations? Go camping in Snowmass and leave technology behind. @vailmountain Can’t unglue the kids from the tv on vacations? Go camping in Vail and leave technology behind. You get the idea. At least it's clear what "service" this bot is providing. What could possibly be the purpose of these tweets? My first thought was this is some SEO scam. About 1/3 of the tweets have a bit.ly link to the http://promotion-web.tk/ or related websites; these pages contain more nonsense text under the title "First-class portal". (The "dot .tk" top level domain is a free domain registry based in Amsterdam) But that doesn't make much sense. Why would nonsense tweets point at nonsense websites? And why would most of the tweets come without links? And if it's an SEO scam, why add things like ".nxz 968560"? Who's going to click on a tweet like that? Even search engines aren't that dumb. My next thought was that these accounts are those "followers" that social marketing bozos buy for their twitter feeds. But no, many of these these accounts aren't following more than two or three other accounts, though they may have 250 or so of their fellow robots following them, along with a surprising number of apparently human social media consultants. It's puzzling, and I don't take kindly to unsolved puzzles. This army of zombie twitter accounts must be assembling for some sort of mischief. So here's my best guess. I think these twitter bots are hiding information in plain view. Suppose you were a terrorist organization or a criminal network, and you needed to publish communications to large numbers of people world wide. What better way to do this than to publish encrypted information on twitter. Or even better, put the encrypted information on a network of websites, and use a distributed network of twitter accounts to distribute the decryption keys? Or maybe this is where Wikileaks is storing its secret files. The data publishing rate appears to be about 100 tweets per minute, or about 230 bytes/sec. That's 20 MBytes per day. Maybe the three letter codes are the intended recipients, and the 6 digit numbers are constantly changing keys (like RSA's SecurID) for files posted on 2-factor secured websites. Or maybe its just garbage ungluing latent clubhouse derby. 1. Just to be clear, it's not just the word "unglue" that zombie bot is attacking. 2. I can't wait to get head-desked by a simple explanation in the comments. Maybe in 50 years we'll reminisce how there used to be one internet that covered the globe. But even before the telephone was invented, there were internets of a sort that covered regions in Africa. Probably there were others all around the globe, maybe even now the dolphins have their own version of an internet, disconnected from ours. An internet, for the purposes of this article, is "a digital communications network that connects intelligent nodes distributed thoughout a region". Even civilizations without written languages needed to communicate with each other. If you lived in a rain forest where villages were separated by miles of bush, the best way of communication with a neighboring village was to use drums. The "talking drums" of Africa used digital codes that could be understood from distances of as much as 5-10 kilometers. The codes weren't at all like Morse code, but were based on the tones of spoken languages. A "talking drum" has two tones, so the signal is essentially binary. To overcome the lack of consonants, drum languages would add habitual phrases to words to disambiguate one word for another, resulting in an error-correcting code. Ruth Finnegan's chapter on "Drum Language and Literature" in Oral Literature in Africa gives some wonderful examples. In the Kele language the words meaning, for example, ‘manioc’, ‘plantain’, ‘above’, and ‘forest’ all have identical tonal and rhythmic patterns. By the addition of other words, however, a stereotyped drum phrase is made up through which complete tonal and rhythmic differentiation is achieved and the meaning transmitted without ambiguity. Thus ‘manioc’ is always represented on the drums with the tonal pattern of ‘the manioc which remains in the fallow ground’, ‘plantain’ with ‘plantain to be propped up’, and so on. Among the Kele there are a great number of these ‘proverb-like phrases’ to refer to nouns. ‘Money’, for instance, is conventionally drummed as ‘the pieces of metal which arrange palavers’, ‘rain’ as ‘the bad spirit son of spitting cobra and sunshine’, ‘moon’ or ‘month’ as ‘the moon looks down at the earth’, ‘a white man’ as ‘red as copper, spirit from the forest’ or ‘he enslaves the people, he enslaves the people who remain in the land’, while ‘war’ always appears as ‘war watches for opportunities’. Verbs are similarly represented in long stereotyped phrases. So that's how information was transmitted digitally, but it's not an internet yet. For that, you need a network. It turns out that drummed messages of note would be retransmitted to the next village. In modern terminology, packet switching. I imagine the drummers used a protocol similar to that used by Ethernet to ensure a clear channel for retransmission. Thus announcements, warnings, poetry (maybe even advertisements!) were packet-switched between nodes based on topic and relevancy. So the drum languages seem to put importance on uniquely identifying individuals, something that our Internet is just starting to figure out. (See ORCID.) Reputation of individuals was important; I wonder if creators of particularly compelling drum poems were identified by custom, as we're starting to learn how to do with Attribution licenses. It goes without saying that the literary forms transmitted by drumming were not copyrighted and the there was no notion of paying a creator for "copies" of a drummed message. But certainly the practitioners of this early digital literature were valued by their societies. drumming tends to be a specialized and often hereditary activity, and expert drummers with a mastery of the accepted vocabulary of drum language and literature were often attached to a king’s court. The singer arrives at a village and finds out the names of the important and wealthy individuals in the area. Then he takes up his stand in public and calls out the name of the individual he has decided to apostrophize. He proceeds to his praise songs, punctuated by frequent and increasingly direct demands for gifts. If they are forthcoming in sufficient quantity he announces the amount and sings his thanks in further praise. If not, his innuendo becomes gradually sharper, his delivery harsher and more staccato. This is practically always effective—all the more so as the experienced singer knows the utility of choosing a time when all the local people are likely to be within hearing, in the evening, the early morning before they have left for the farm, or on the occasion of a market which leaves no escape for the unfortunate object singled out for these ‘praises’. The result of this public scorn is normally the victim’s surrender. He attempts to silence the singer with gifts of money or, if he has no ready cash, with clothes or a saleable object like a new hoe. So even "astroturfing" is not an exclusively modern phenomenon. 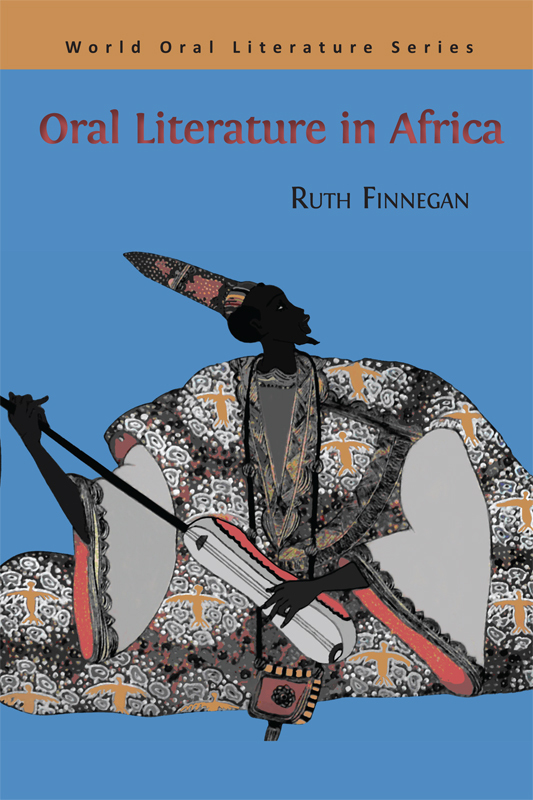 I learned all this reading Ruth Finnegan's Oral Literature in Africa which was the first book made free to the world by Unglue.it, working with Open Book Publishers. Download and enjoy. Open Book Publishers have just launched an ungluing campaign for a second book, called Feeding the City, a translation of a seminal work from the original Italian, about the dabawallahs of Mumbai, a subject Internet entrepreneurs could learn a lot from. Support the campaign to make it free to the world!